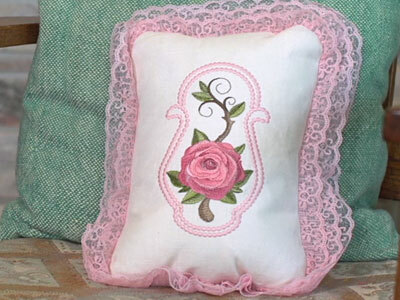 Candlewicking began as a hand embroidery style that used thick cotton thread and elaborate knots. 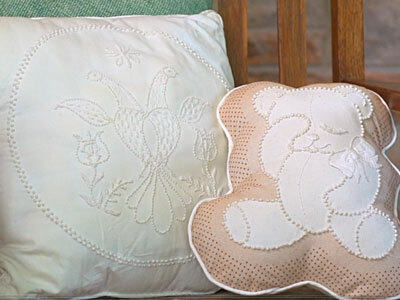 By using 30 weight cotton thread and smooth, satin stitch dots, the style can be beautifully echoed in contemporary machine embroidery. 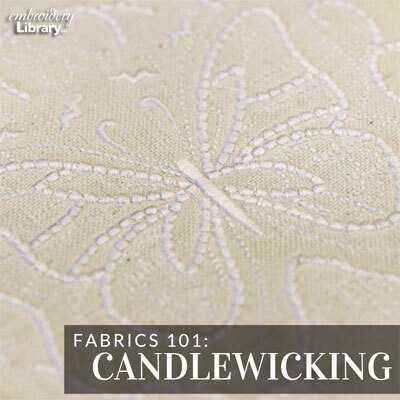 Traditional candlewicking was done centuries ago with thick, cotton thread on white muslin. 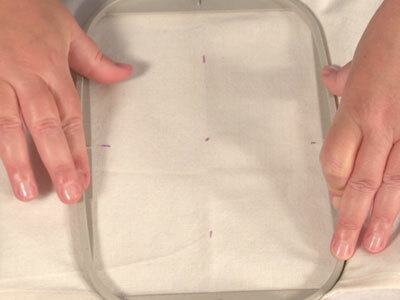 The same cotton thread was used to make hand-dipped candles, which is how the needle art got its name. 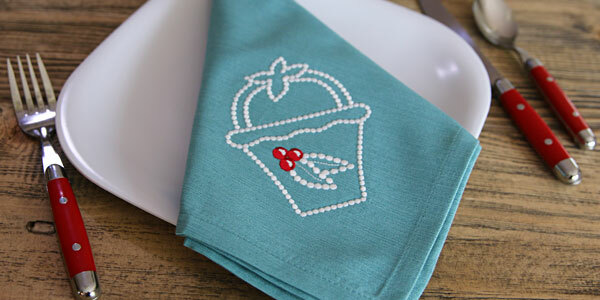 Today's embroidery machines can't accommodate that type of thread, and the knot types used can't be done by machine either. 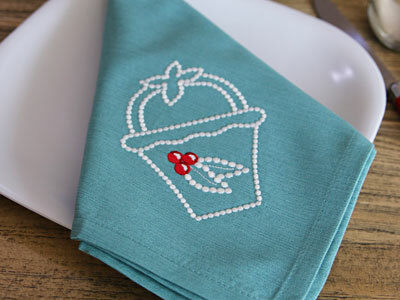 However, there are beautiful machine embroidery designs that are inspired by, and echo, the traditional candlewicking style. 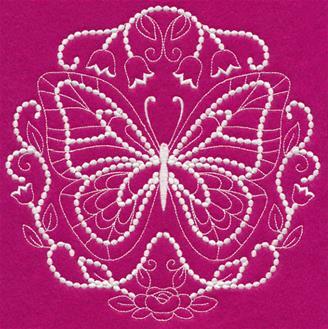 This is a machine embroidery design of a candlewicking butterfly. 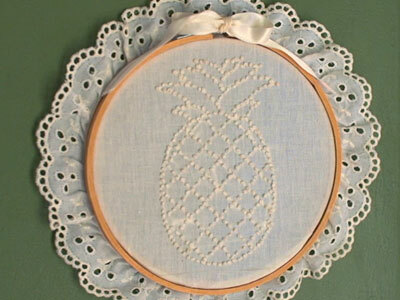 The elaborate knots that you see in handwork are instead represented by satin stitch dots. 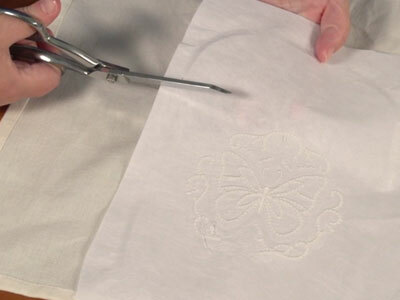 When using your embroidery machine to stitch candlewicking designs, the primary difference is the thread choice. 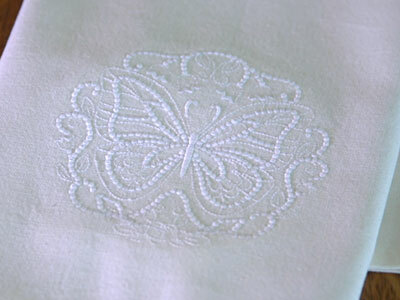 You can see the technique in this example, where the butterfly is embroidered onto a towel. 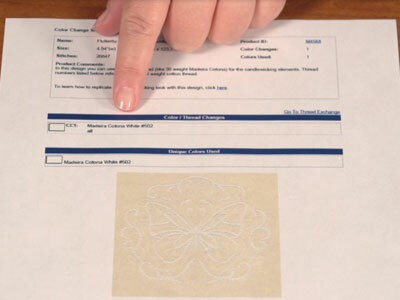 Arrange the template on the item, then mark the center points, as well as the vertical and horizontal axis lines. 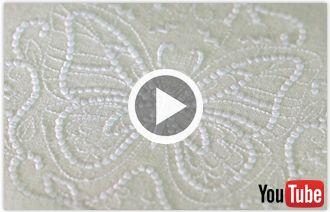 The color change sheet for the design shows that 30 weight cotton thread should be used. 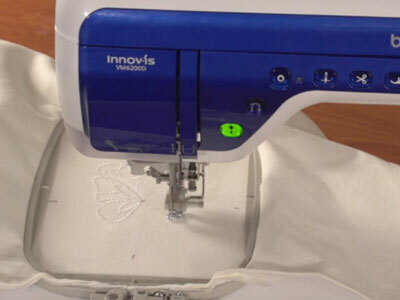 Thread your machine with the appropriate thread. 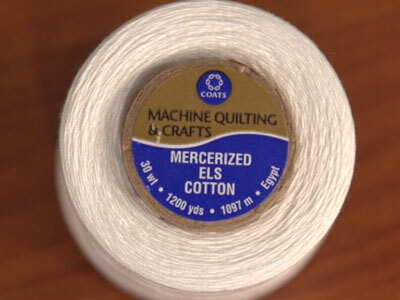 No special thread in the bobbin is necessary -- just 30 weight cotton thread in the top. 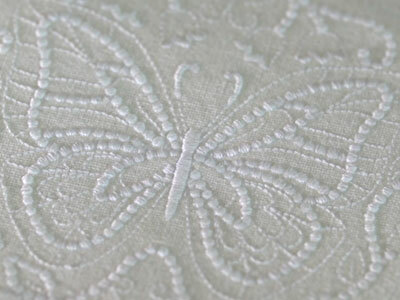 You can use 40 weight rayon or polyester thread also, but 30 weight cotton thread will give the most texture in the areas with the dots. 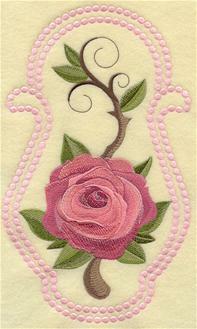 Some designs, like this one of a rose, use a mixture of 30 weight cotton thread, and 40 weight. 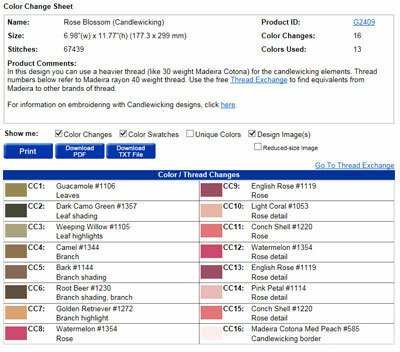 The color change sheet for each design shows the type of thread used. 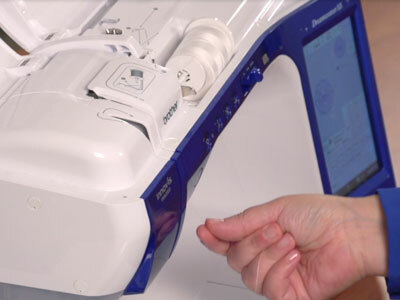 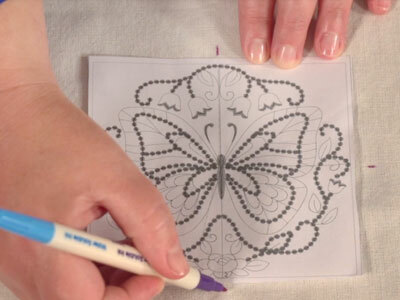 Use this embroidery technique as a way to add the beauty of hand embroidery to your machine embroidery projects. 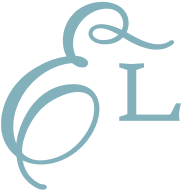 7.80" x 7.73" | 6.91" x 6.85" | 5.90" x 5.85" | 4.94" x 4.87" | 3.87" x 3.83"
6.91" x 11.76" | 7.80" x 7.81" | 5.86" x 9.41" | 4.94" x 6.87" | 3.87" x 3.86"
6.98" x 11.77" | 5.85" x 9.87" | 4.06" x 6.85"
7.00" x 11.80" | 5.85" x 9.87" | 4.64" x 6.88"
7.83" x 7.82" | 6.90" x 7.33" | 5.90" x 6.31" | 4.91" x 5.23" | 3.91" x 3.90"
4.88" x 5.95" | 3.76" x 3.92"